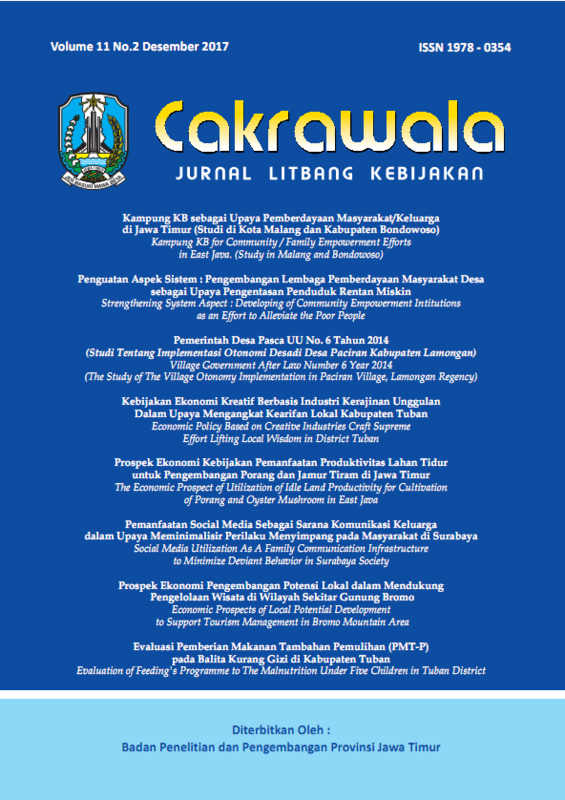 Cakrawala (Jurnal Litbang Kebijakan) is published twice a year in June and December containing articles result of thought and research in social, economic and policy. With registered number ISSN 1978-0354, ISSN 2622-013X (Online). Every received article should follow Author guideline and will be reviewed by journal editors and reviewers who are competent in each related field. The review process use double-blind peer review before the journal is published. Please submit your manuscript by following journal template and download the draft of Publication Ethics here. Author Fees can be checked here.